Bayside Reserve, a North Shore City Council and Boffa Miskell led stormwater management project included improving water quality and flood management, enhancing ecological and amenity values in the stream and reserve, and facilitating community use and appreciation of the reserve and stream. 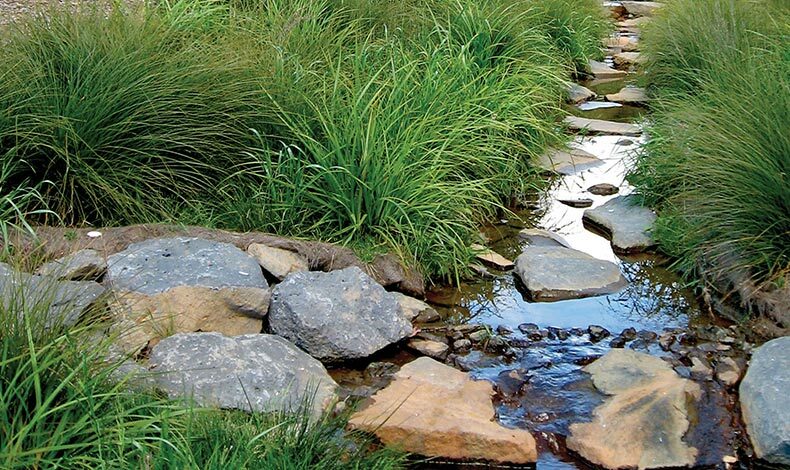 Bayside Reseve had a stormwater concrete stream channel which flowed into a detention pond. The pond, which was overlooked by Browns Bay residents, had silted up and was not functioning as intended. The existing concrete stream channel was transformed into a naturalised stream, and the pond was reformed with forebays and vegetated floating islands, to enhance its water treatment function. Public walkways were constructed, aligned with maintenance access. Habitat has been enhanced through non-spray weed control and diverse planting, including kahikatea-swamp maire and flaxcabbage tree communities. Landscape architecture and low impact design.